Thanks to Carolyn Scott-Hamilton of The Healthy Voyager series for sharing this super yummy vegan caramel cookie from Argentina with us! It’s from her new cookbook, The Healthy Voyager’s Global Kitchen, which “veganizes” her favorite dishes from Europe, Asia, and South America. 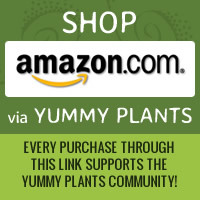 Most of the recipes have gluten-free options as well! Note: if you don’t like coconut, you can roll the cookies in chopped nuts instead. vanilla, brandy, and lemon zest; mix well and set aside. and chill in the refrigerator for 2 hours. 4. Bake for 12 to 15 minutes, or until golden. The cookies should be dry but not brown. prepare this in a double boiler so you lessen the chance of scorching the mixture. Remove from the heat and let cool and thicken before filling the cookie sandwiches. 1. When the cookies are cool, match them up into pairs of like sizes. with the remaining cookie pairs. 3. When ready to serve, sift a light layer of confectioners’ sugar over the tops of the cookies and place them on a platter. 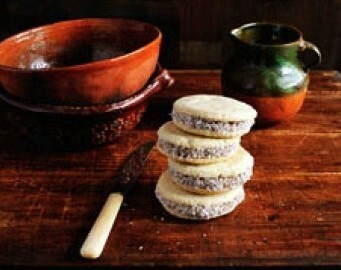 Let us know what you think of this easy vegan recipe: Alfajores (Caramel Cookies)!